New ListingTotem Mask IN-Wall Speakers NEW IN BOX! In-Wall speakers made by Totem. Totem’s unique holographic voicing. Totem’s superior on-and off-axis performance. Mask Highlights Mask Specifications Black polypropylene cone woofer with a rubber surround. Condition is New. Crossover Point 2.5 kHz. Other Specifications. Depth 3.75" / 9.525 cm. Impedance 6 ohms. Frequency Response 67 Hz - 40 kHz ± 3 dB. Design Full back-boxed, high-performance loudspeaker. For sale is a used pair of totem model 1 speakers. Totem Acoustics TAC8 II Mask 8” In-Ceiling Speakers. In great shape. Totem Acoustics Kin Subwoofer Design Features Totem’s KIN SUB provides a magnetically responsive and musically pleasing foundation wherever bass support is desired. Articulate and precise across a full range of frequencies it is clear and coherent in all applications. Other Notes: "No doubt about it: Totem's Model 1 Signature is a little gem, a pur sang minimonitor. It joins the Harbeth HL-P3ES2 and the AAD Silver One in the list of my favorite minis. -John Atkinson. All have been repaired by the manufacture. Originals woofers got blown. With its sleek design and dazzling performance, the Totem Acoustic Tribe subwoofer is filled with inner power. Astonishingly high output levels and low frequency spectrum make the Totem Acoustic Tribe subwoofer awe-inspiring. No active or passive cross-over parts in the woofer section. Revolutionary magnetic field technology. We only have one speaker, This is not for a pair of speakers . Magnetic grills are standard issue. Totem Acoustic Forest Speakers in Excellent Condition. Toe-in: Due to the fact that all Totem speakers have great off-axis dispersion, toe-in is generally not needed. Imaging will therefore be more stable from any point in the room. Totem Tribe/Sub Passive Subwoofer; Dusk Gloss Black. Dual carbon-fiber 8” woofers. Speaker grills are not included. Includes stand. I moved so the subs were never hooked up. One box has been opened. Shipped with UPS Ground. Totem Mite. Condition is Used. Shipped with Standard Shipping. Totem Acoustics Tribe Series I Speaker (Single Speaker) White. Condition is Used. Shipped with Fedex ground. Speaker is not mint but performs perfectly and looks presentable. Will pack safely for shipment. some scratch on it Here a used Totem Acoustic Mite 2 Bookshelf in good working condition check all pictures it’s part of the description and ask question thank you for looking Shipped with USPS Priority Mail. Aesthetic and acoustical finish. includes white fabric grilles (that attach with black Velcro dots, see photos). plastic screw anchors (for the wall-mount brackets). minimum power: 20 watts at 4 ohms. Great sounding shelf speakers light scratches in cabinet. Condition is Used. bookshelf | tower | "floor standing" |monitor | loudspeaker | speaker) (b&w | "Bowers & Wilkins" |focal | kef | Revel | Martin | paradigm | "definitive technology" |Wharfedale. Approximate number of dealers: 125. Totem Tribe Subwoofer, Red, Passive, Duel 8" Drivers. Unit has been tested & is in good working & physical condition. 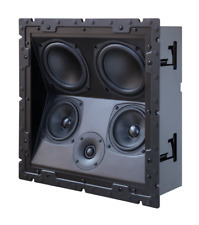 For sale is a trio of excellent on-wall speakers from Canadian speaker manufacture Totem. They are the gloss black finish and we do have (3) wall mounts. These do not have the original boxes. These are in very good condition and are a trade-in. Second-hand speaker TOTEM / Totem Mani-2 condition rank 【B】 (Product No. 88-7). Manufacturer totem. Allowable input maximum input: 200 W. 2 sets 1 pair. Type 2 WAY rear bass reflex type. Middle East. Model number Mani-2. 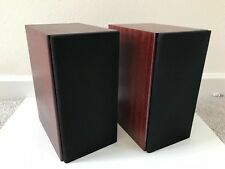 Totem Acoustic Rainmaker Front Speakers (Pair). Hi End Canadian speakers line. Totem Acoustic Rainmaker Bookshelf Speakers Cherry Color 4 ohm 30-100 watt. Made in Canada. Sound Fantastic. Local Sale Only. Excellent sounding bookshelf speakers from top end of Canada speakers maker. Totem Acoustic Rainmaker Center Channel Speaker. Hi End Canadian speakers line. You will be in love with this Totem Rainmaker center speaker. Amazing Crystal clear from the special Tweeter and vocal voice woofer. Totem Rainmaker Center Channel Speaker is one of Amazing center speaker I have ever owned and experienced the sound for Movies and 5 channel music. 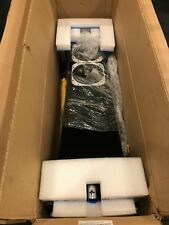 Totem Mask IN-Wall Speakers NEW IN BOX!